The Charred Eggplant & Garlic Dip($10), which might look really simple, is actually one of the bestsellers here. 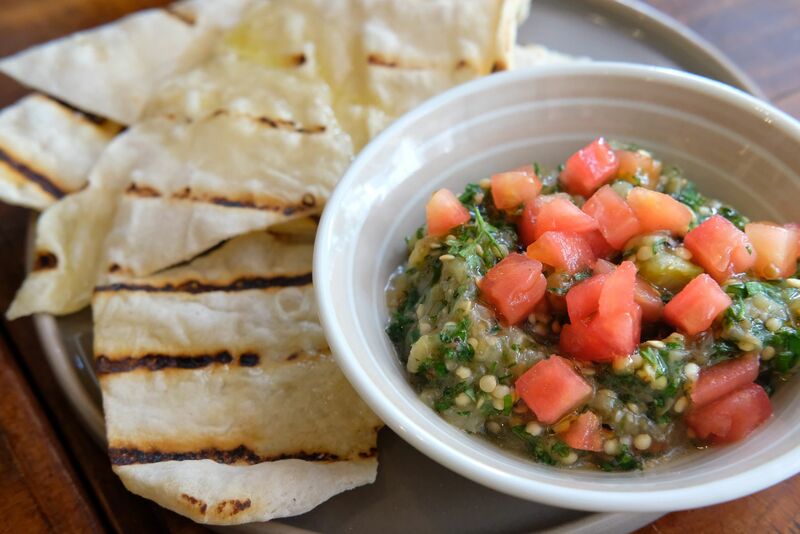 A dip made with Inka-roasted eggplant, tomato concasse, crushed garlic, chervil, parsley, salt, pepper, lemon juice and zest, is served with flatbread which is made in-house a la minute. The flatbread was wonderful enough on its own, but definitely better with a generous dollop of the dip. Fans of burrata must not miss the one at Moosehead. 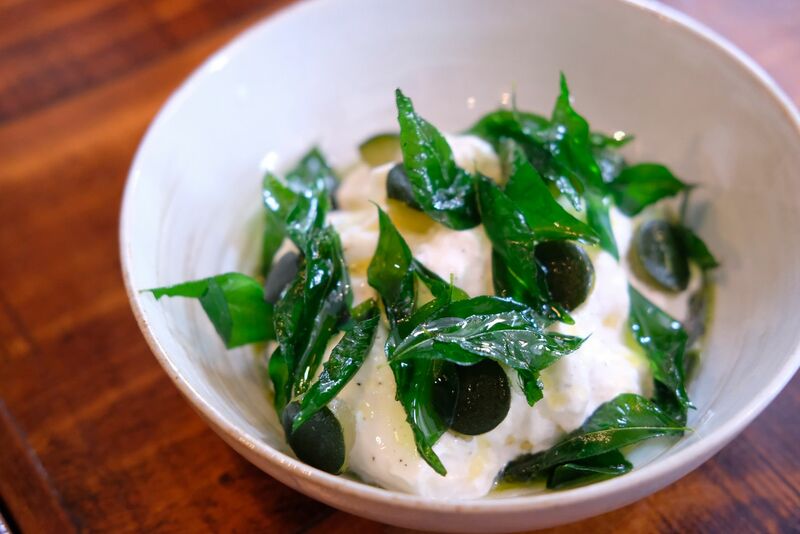 Paired with little balls of zucchini that are pickled in chardonnay vinegar and sugar for at least a day, Thai basil pesto that has hints of pine nuts and Parmesan, and crispy curry leaves, the Burrata ($21) here is a knockout. The cheese is seasoned with just salt, pepper and Spanish extra virgin olive oil, but is downright delicious. You roughly have an idea of how great the cheese is on its own now, don't you. Even the pickled zucchini, which I avoided at all cost but was coaxed into trying, was yummy. I just love it when fantastic produce is showcased in such a delicate manner as the natural greatness of it is allowed to shine. The INKA Fried Eggs ($12) is another dish that everyone orders when they come to Moosehead. 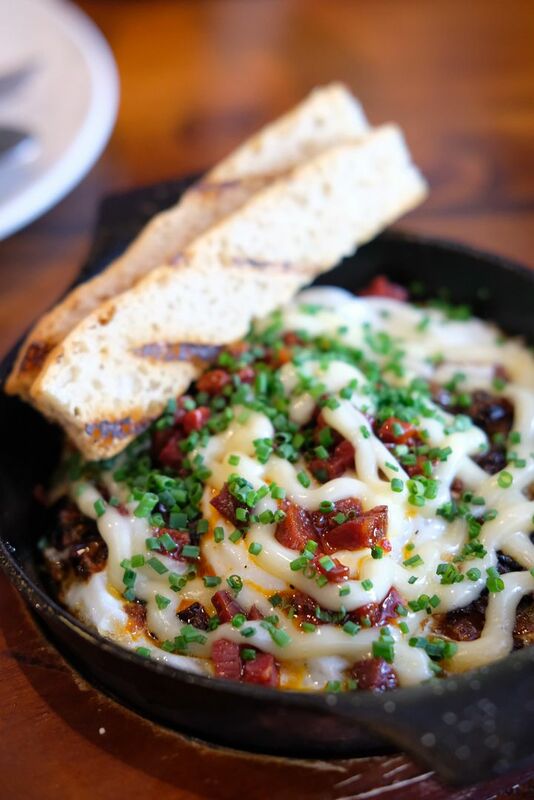 Eggs are quickly cooked in a mini cast-iron pan, and finished off with confit leeks, sauteed chorizo dice, and garnished with chives and aioli. While everyone loved this and was full of praise for it, I felt that it didn't live up to expectations. Well, maybe I'm just not a fan of fried eggs. 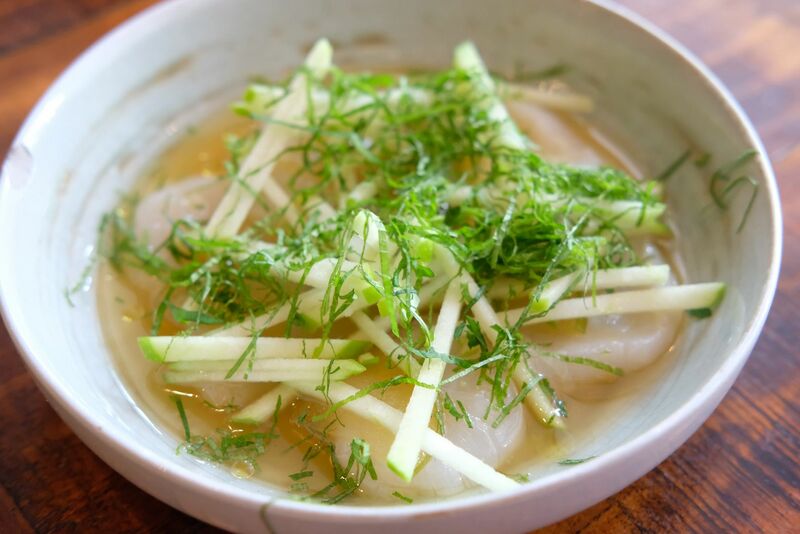 Thinly-sliced Hokkaido Scallops ($21) are marinated for 5 minutes in ponzu wasabi and yuzu, before they are served with sliced fresh green apple and sliced verjus-pickled green apple. The tartness of the ponzu and yuzu complemented the scallops really well, and accentuated that beautiful sweetness within. 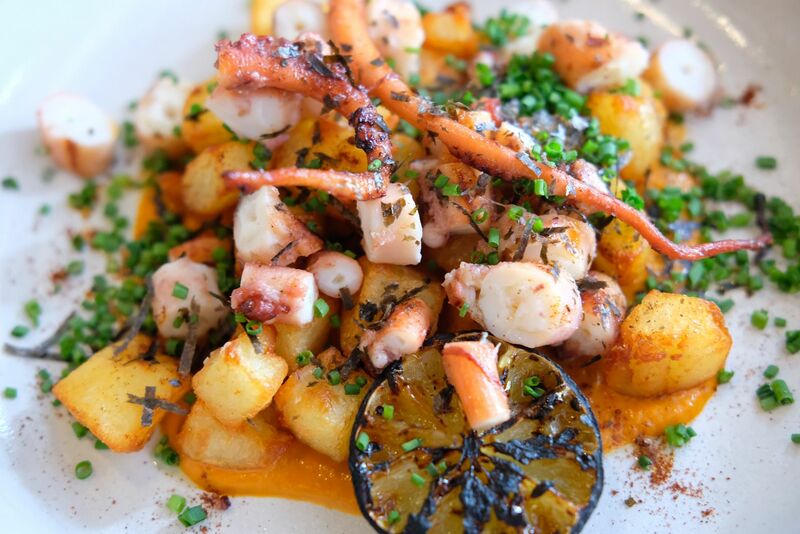 This was one of my favourite dishes! The tartness really makes you crave for more. I wasn't the most excited when I heard that we were having artichoke. I've never actually eaten them before but I know they are vegetables so I've pushed them to the edge of my plate many times. However, the Fried Artichokes($12) here blew me away. 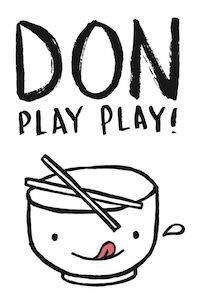 I really didn't think that I was going to like it even as I was placing a piece into my mouth. 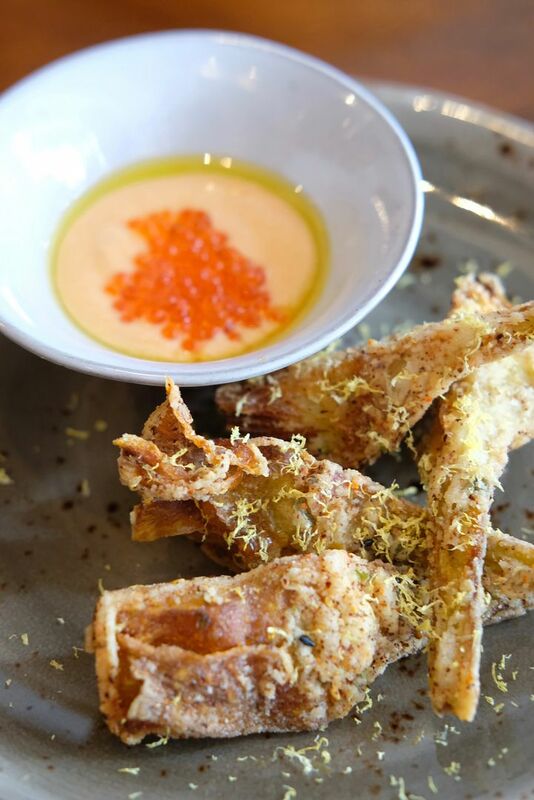 Crispy tempura artichoke quarters are served with ikura and taramasalata, an emulsified blend of mentaiko, olive oil, lemon juice and bread soaked in milk until tender. The emulsion, which has a touch of lemon, is absolutely tasty and is beyond addictive. I could even eat it on its own! 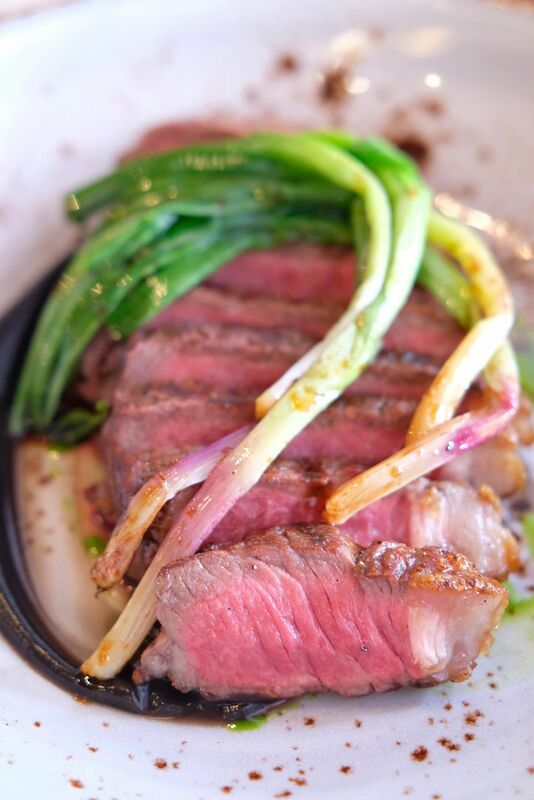 The O'Connor Beef Sirloin($42) is a must have. 300 grams of Irish beef is grilled in the Inka before it is served with a housemade mushroom ketchup, roasted spring onions and chive oil. 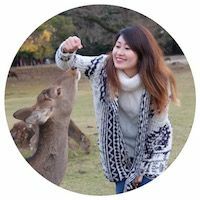 I tried mushroom ketchup at Dinner by Heston Blumenthal when I was in Melbourne, so the mere mention of mushroom ketchup immediately reminded me of my dining experience at the esteemed restaurant. It turns out that Chef Seumas had a stint in Heston's kitchen previously! Irish beef is pretty rare in Singapore, so I'll really recommend that you pop by to try it. The beef was stunningly tender, and juicy, and the flavours from the ketchup and chive oil just made the solid get-up an even sweeter one. The desserts here are nothing like those fancy-schmancy dressed-up empty vessels that may look good but not taste the part. As with the mains, the desserts shone the spotlight on great ingredients and showed us, once again, that only a brilliant mind can make something seemingly plain, impressive. 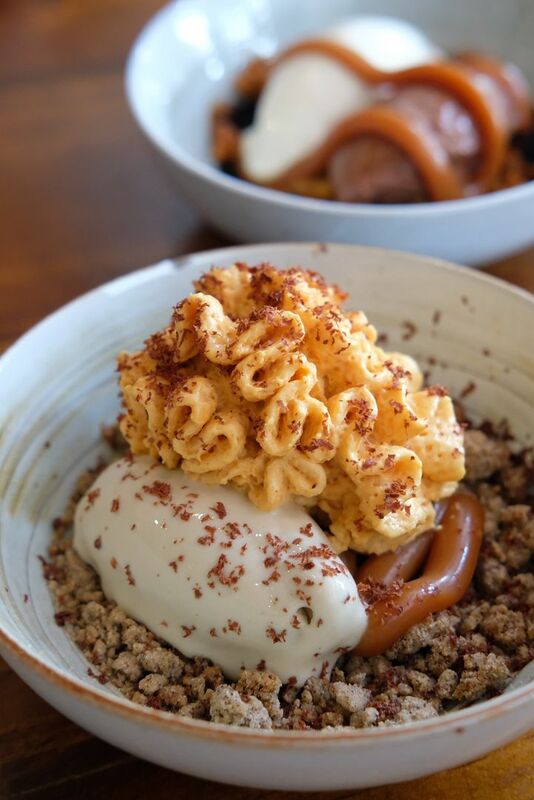 The Chocolate Mousse($10) is served with a salted caramel sauce, on a bed of chocolate soil and candied peanut clusters. The components are not out of this world, and yet the smooth icecream and rich mousse were so gratifying. The crunchy candied peanuts had my heart. The house-churned Banana Ice Cream($10) is an egg-based ice cream that's been blended with bananas roasted in the Inka. Nothing like the artificial essence-infused nonsense. Harmonized with cookie crumble that has an enthralling hint of coffee, and salted caramel foam, this creation, which is inspired by jemput-jemput banana balls and banoffee pies, is impeccable. While the banana icecream was really good, I found myself scooping up every last bit of the cookie crumble. I've walked past Moosehead a dozen times, but never made my way in. Now I know how much I've been missing out.